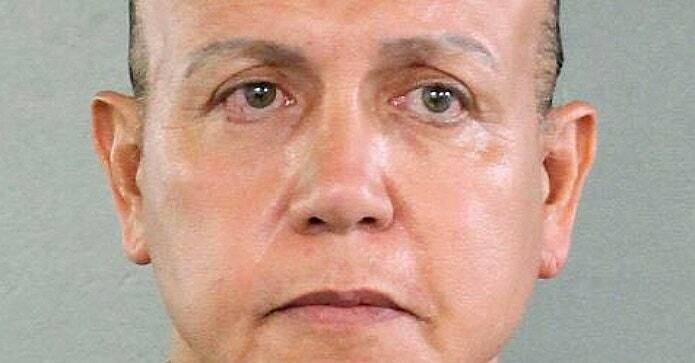 On Friday, Cesar Sayoc was arrested in connection with the 14 pipe bombs sent to top Democrats, other critics of President Trump, and CNN earlier this week. The 56-year-old Sayoc appears to have been active on social media. A Twitter account prosecutors linked to him praised Trump, threatened top Democrats with death, and shared convoluted ultra-right-wing conspiracies about many of the people to whom he is suspected of sending homemade bombs. Through the same Twitter account, Sayoc also posted photos of the homes of some of those targets along with threatening messages. In the criminal complaint against Sayoc, FBI Special Agent David Brown said he believed Sayoc operated a Twitter account under the name “Cesar Altieri,” with the handle of @hardrock2016. Rochelle Ritchie, a political commentator who regularly appears on Fox News panels, tweeted Friday that she had reported the account to Twitter after one tweet threatened Ritchie’s life. At the time, Twitter told her that @hardrock2016 did not violate any of its policies, Ritchie said. Twitter removed the Cesar Altieri account Friday after Sayoc was arrested. On Friday evening, Twitter told Ritchie that its previous assessment of the account was “made in error.” Twitter declined to comment. “This is an ongoing law enforcement investigation,” a spokesperson said. In a tweet directed at @maximewaters, the account linked to Sayoc wrote “see you soon Maxim” and included a photo of what appears to be the representative’s house. The account @maximewaters does not belong to Waters but appears to be a parody account designed to promote popular conspiracy theories about the congressmember. Photo originally posted by @hardrock2016 on Twitter. Other Sayoc tweets were directed at former vice president Joe Biden. In response to a tweet Joe Biden posted on the anniversary of 9/11, the account alleged to belong to Sayoc called the former vice president a “Piece slime trash” and wrote that he should hug his family “real close” every time he leaves his home. The tweet included a photo of Biden’s home, where one of the 14 suspicious packages containing an explosive device was addressed. Sayoc also frequently tweeted about Hillary and Bill Clinton, and often made reference to a (totally bunk) conspiracy theory that alleges the two were involved in covering up the murder of two children. The “mainstream media,” George Soros, the Obamas, US Representative Debbie Wasserman Schultz, David Hogg, and a variety of Florida politicians were also common targets of Sayoc’s ire online. In a tweet on Oct. 12, Sayoc wrote that CNN “will vanish” and posted multiple photos of himself with custom anti-CNN apparel, signs, and what appears to be a fake grave for the news organization. On Oct. 13, 2016, the Facebook account “Cesar Altieri Randazzo” posted a number of videos that appear to be taken from a cell phone camera at the then-candidate Donald Trump’s campaign rally in West Palm Beach. That account has not officially been confirmed as belonging to Sayoc, but it features photos him dating back to 2016 and was removed from Facebook immediately after Sayoc’s name was made public. A number of the videos on this account reference individuals or groups that were sent the mail bombs. One 13-second video shows Trump saying that James Comey let Hillary Clinton off the hook while “many others have been destroyed for doing far far less.” In another video posted to the Facebook page, Trump promoted a conspiracy theory that journalists worked secretly with Clinton to help her win the election. “The emails show the reporters collaborate and conspire directly with the Clinton campaign on helping her win the election all over,” Trump says in the video.